Our Day Spa is located in a charming mid-century Florida house that was converted many years ago into an office building. The original hardwood floors are full of character, as are the original casement windows that look out to a lush backyard shaded by a century old Yellow Poinciana Tree. Many people have commented that it feels so warm and welcoming, like visiting an old friend. We offer a wide range of services with talented staff and at reasonable prices. Each therapist has a unique style and experience, and we encourage you to try them all to find which one(s) suit you best. Founder of North River Body Therapies, a graduate of Sarasota School of Massage Therapy, Nicole has been a Licensed Massage Therapist in private practice since 1999. She is Nationally Certified, and a member of both the American Massage Therapy Association, and Florida State Massage Therapy Association. As the daughter of a Chiropractor, she has always known the incredible amount of healing that can come from just two hands. Nicole has additional training in Deep Tissue, Ashiatsu (the barefoot massage), Certified Medicupping Practitioner, Neuromuscular, Medical Massage, Aromatherapy, Hot Stone, Active Isolated Stretching, as well as being a Certified Business and Life Coach, and Certified Yoga Instructor. 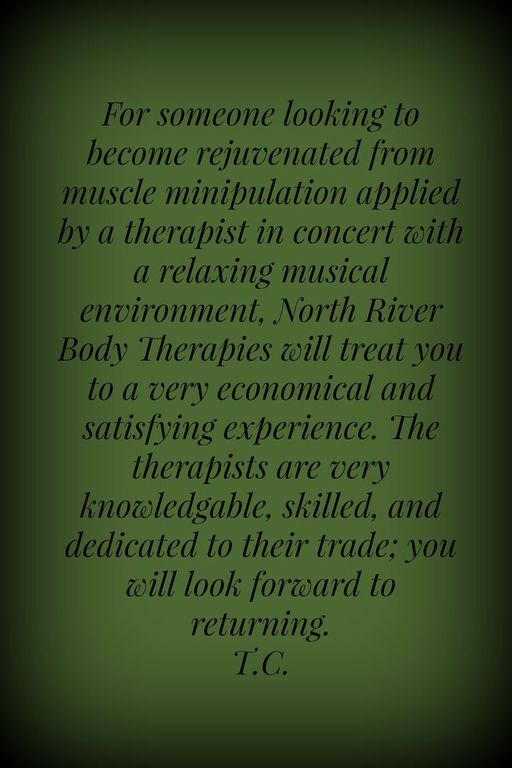 Sandy is a life long resident of Manatee County and long time friend of North River Body Therapies. She loves to travel and spend time with her family. Her warm smile and hospitality are sure to make you feel right at home! From a very young age, Colleen has been a close friend of Nicole's family and North River. Her upbeat and sweet demenor is always sure to welcome you in, and her eagerness to help in any situation is sure to keep you coming back! She enjoys painting, spending time with her kitty (Boo), and working on fun projects for the office in her free time. Laura has been in the healing arts since 2007. She specializes in Ashiatsu massage, therapeutic deep tissue massage, hot stone massage, and basic relaxation. Starting off as a nail tech student her senior year of highschool, she wasn't sure what career path she wanted to take, but she knew she wanted to improve people's lives somehow. While studying as a nail tech, she came across people with arthritis, diabetes and people who were just stressed out. She was able to see how a simple hand or foot massage could really improve and benefit people's lives. This led her to the art of massage therapy for her career. Sara is dual licensed, offering both massage and skin care services. She enjoys pampering her clients and helping them deal with the effects of stress and complications of everyday life. A true Florida resident, Sara graduated with honors and continued to perfect her skills by recently completing schooling to become an Ocupational Therapist. She currently works at a special needs school along with North River. Sara loves to help people problem solve their areas of pain and provide them with a regime to keep it at bay. 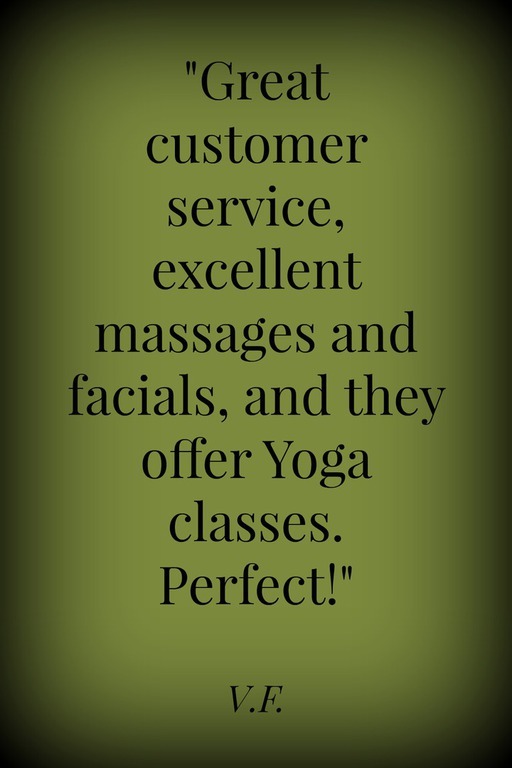 Allison's modalities include Ashiatsu, relaxation and deep tissue massage. Allison is a graduate of Sarasota School of Massage Therapy. She made the move from Michigan to Florida in 2011 and she couldn't be happier. Her specialty is being able to put people to sleep with her relaxing techniques. Allison enjoys getting to the root of the problem and helping clients with recommendations to carry the therapy home. Beth specializes in neuromuscular, pre/post surgical care, injury care and sports massage. Beth was born in Texas and moved to Florida in 1979. She has a background in fitness and martial arts, and has been practicing as a LMT since 2008. Her main goal as a massage therapist is to work with her clients to achieve the best care, comfort, and relief as possible. 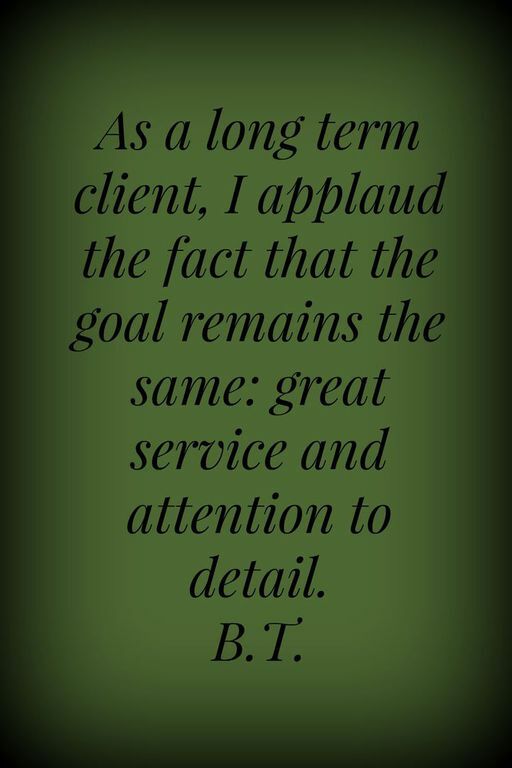 She prides herself in taking the time to get to know her clients and their needs. Beth's experience has taught her that questions are the best start to a great treatment, and educating her clients with techniques for self treatment is beneficial to continue care. 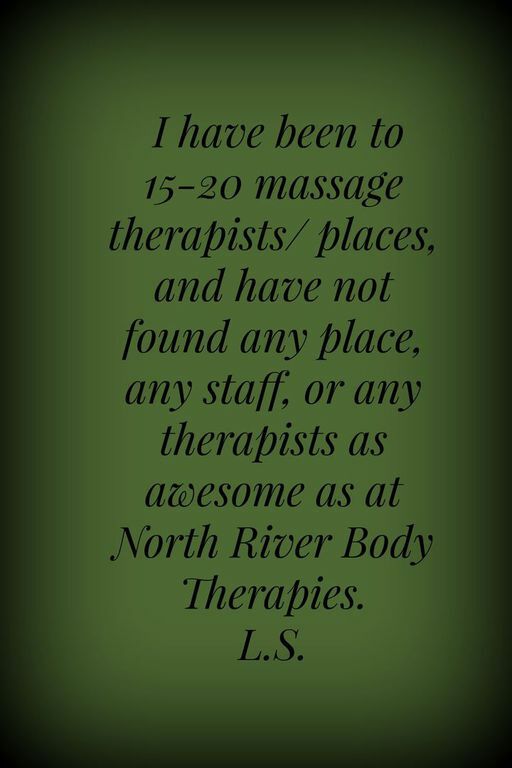 Lisa specializes in Myofascial release, relaxation and deep tissue massage. Lisa grew up in Canada where she recieved a B.A. in English from Carlton University. Moving to NYC in 1999, Lisa spent many years as a copyrighter and editor. She loved playing tennis, to the point that she could hardly walk at times! The massages she recieved to alleviate pain inspired her to go to massage school in 2006. 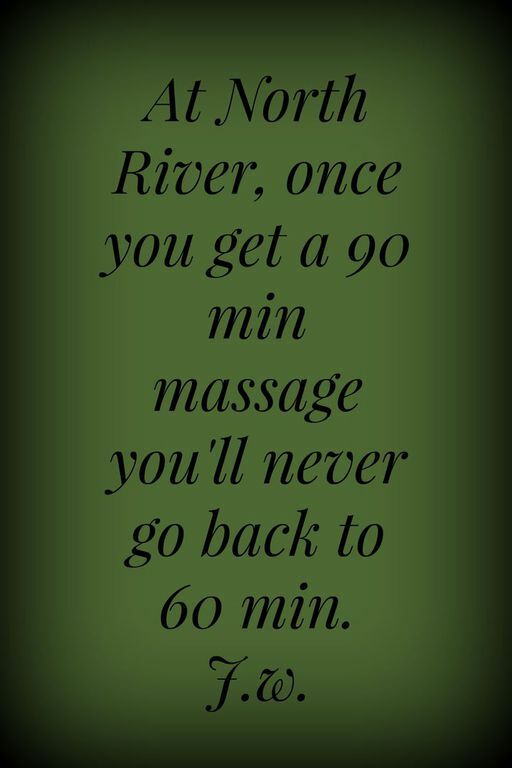 Since that time, she has worked in spas, wellness centers, medical massage settings, and sports clinics. In 2011, Lisa survived Hurricane Sandy, but her home on Long Island did not! She moved to Bradenton in 2012. Kim's modalities include Swedish, deep tissue, trigger points, sports and medical massage. Kim has been practicing massage therapy since 2001 and is a graduate of Sarasota School of Massage Therapy and the Kansas College of Chinese Medicine. Along with her regular patients, she has been working with the Pro golfers of the PGA Web.com Tour (formally known as the PGA Nationwide Tour) every year since 2003. Kim is originally from Wichita, Kansas and moved to Florida permanently in 2006. Danielle specializes in Swedish, and trigger point therapy. Danielle graduated from Cayce/Reilly School of Massage in Virginia Beach, Virginia in 2011 and has been pracicing massage therapy ever since. She loves helping her clients and furthering the therapy after the session with recommended stretches and after care. Danielle loves incorporating trigger point in to all her sessions as an extra way to release pesky knots within muscles. Bridget's specialties include neuromuscular, deep tissue, oncology, Fibromyalgia and relaxation. Bridget grew up in Atlanta where she studied at The Georgia Career Institute. She completed a 1000 hour program in massage therapy years ago. 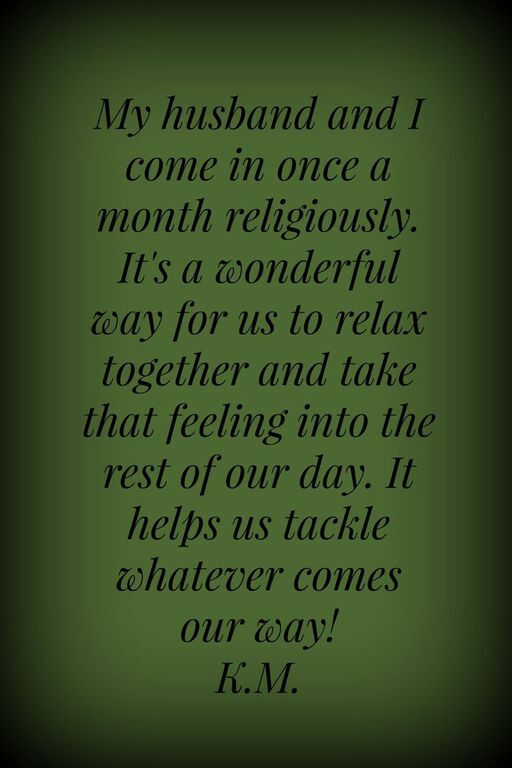 She brings a passionate belief in the mind body connection and the healing power of touch. She was inspired as a little girl watching her mother struggle with the pain of Fibromyalgia and how much she could help her with massage. Since then she has continued her education in various techniques of massage. Acupuncture Physician and Doctor of Oriental Medicine; Dr. Zynda has an existing practice in Sarasota, but makes himself available to clients on Tuesdays and Saturdays right here at North River Body Therapies. He specializes in the healing powers of Acupuncture as well as massage and cupping.